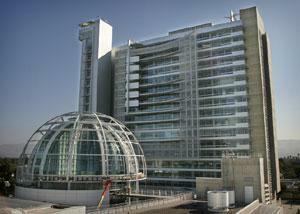 San Jose's New City Hall was officially opened to the public on October 15, 2005. 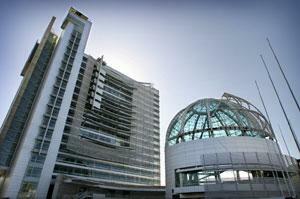 The entire building was available to citizens who wanted to explore the new house of their city government. Over 3,000 people attended, wandering through the tower where different floors showcased various city departments. The adjacent west wing was also a popular place, housing the new council chambers, and a gallery of historic photos and other historical exhibits. The new Rotunda, perhaps the buildings signature feature, was opened to a literal fanfare by the San Jose State University Spartan Band, following a brief ceremony that included speeches by Mayor Ron Gonzales and the building's renowned architect, Richard Meier. In the broad plaza spaces there was music from a wandering Mariachi group to the stage, which featured a host of music and dance performers throughout the day. Hands-on, interactive art was provided for the many young people who attended. A barbecue in the back of the building fed the multitudes, as well. The mission of James P. Reber is to always provide positive, creative, insightful, and innovative service to the non-profit sector and to the community as a whole. He believes in working with organizations large and small, the powerful and the voiceless, and in empowering others be able to succeed on their own. James P. Reber, Nonprofit Fundraiser, Fundraising Consultant, Public Speaker, Event Planner, Event Producer, San Jose, Silicon Valley, California serves the South Bay Area, including nearby communities of Santa Clara, Cupertino, Milpitas, Los Gatos, Saratoga, Sunnyvale, Mountain View, Palo Alto, Los Altos, Morgan Hill, Campbell, Fremont, Redwood City, Santa Cruz, Scotts Valley, Menlo Park, Atherton, Portola Valley, and San Mateo. 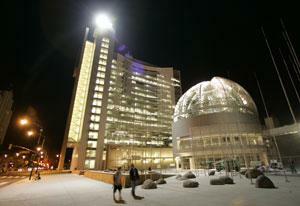 Mr. Reber serves Santa Clara County, San Mateo and Santa Cruz Counties, as well as Alameda, San Francisco, San Benito, Contra Costa, and Monterey Counties.